An interesting mosaic like composition of irregular rectangles of paper composed in a loose, curving grid composition. 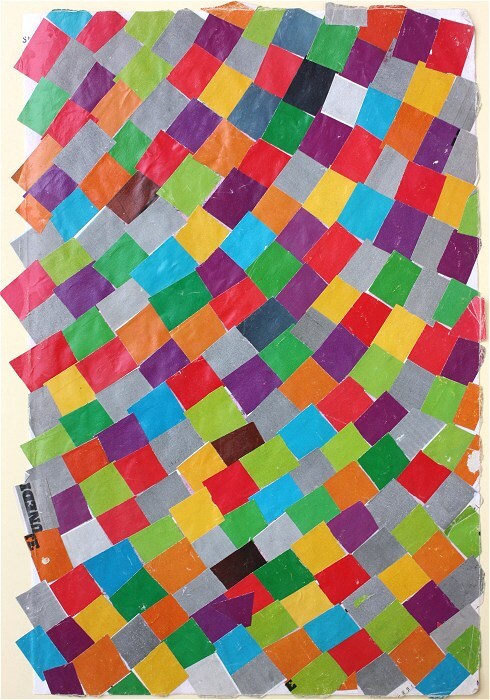 The work has a relatively balanced distribution of several shades of green along with orange, red, blue, purple yellow and gray rectangles with a few brown and black rectangles thrown in. In only three of the rectangles on the outer borders of the image some text is present.